Light following the darkness. 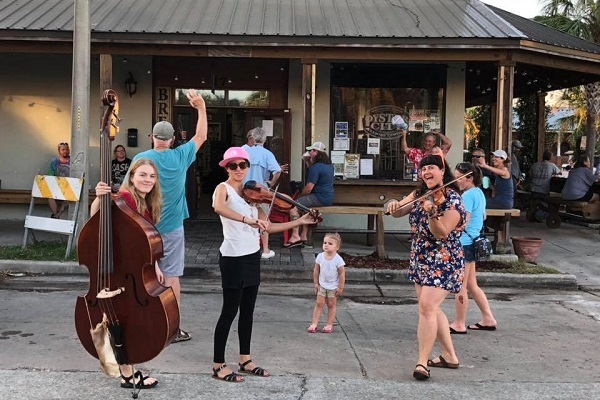 You’ve seen it on TV – it’s even worse firsthand – it is shocking and heartbreaking and yet amazing when you see neighbors and strangers coming together in ways you never thought possible. People who’ve lost EVERYTHING still smiling and lending a hand to one another. People traveling great distances to offer anything from financial support to a warm meal, all to someone they’ve never met before. The spirit of the Florida Panhandle is shining bright. It will take time but the communities of Panama City, Lynn Haven, Mexico Beach, Port St. Joe and many more will return stronger than ever, especially with the generous support of our friends and neighbors near and far. We’ve collected some of this past week’s most positive moments from communities where fellowship and gratitude are leading the way. 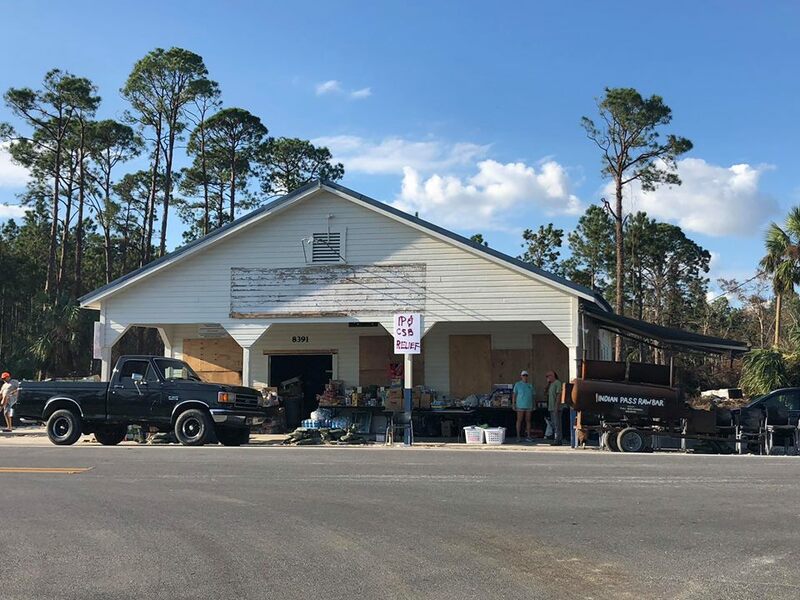 The photos shown vary from in-house relief efforts to 30A neighbors, businesses and organizations focused on bringing comfort and joy to those without. We are all united with one goal, to bring relief and hope to all affected by Hurricane Michael. 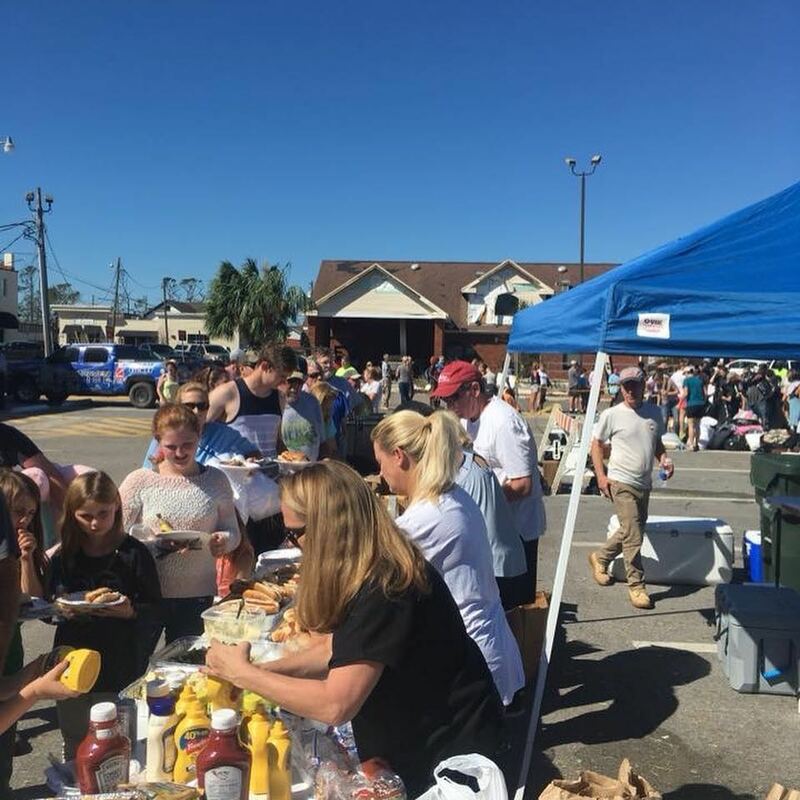 Berkshire Hathaway HomeServices Beach Properties of Florida has established a GoFundMe account to assist our storm-stricken Florida panhandle communities with their short- and long-term needs. Please consider making a donation to help with nutritional, housing and employment necessities – CLICK HERE to learn more. 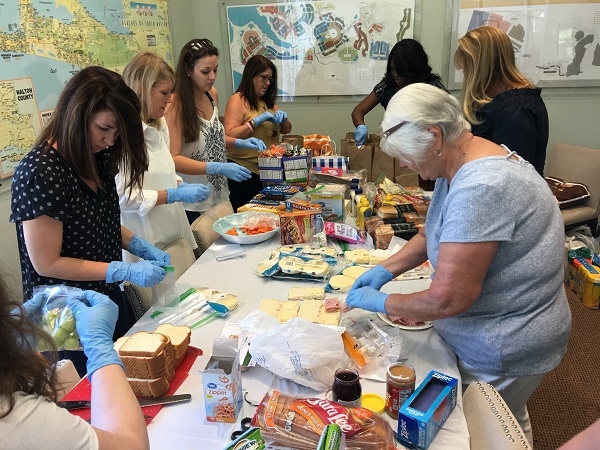 Beach Properties of Florida agents prepping food with their families for our field teams to deliver to Panama City, Port St. Joe and Eastpoint. 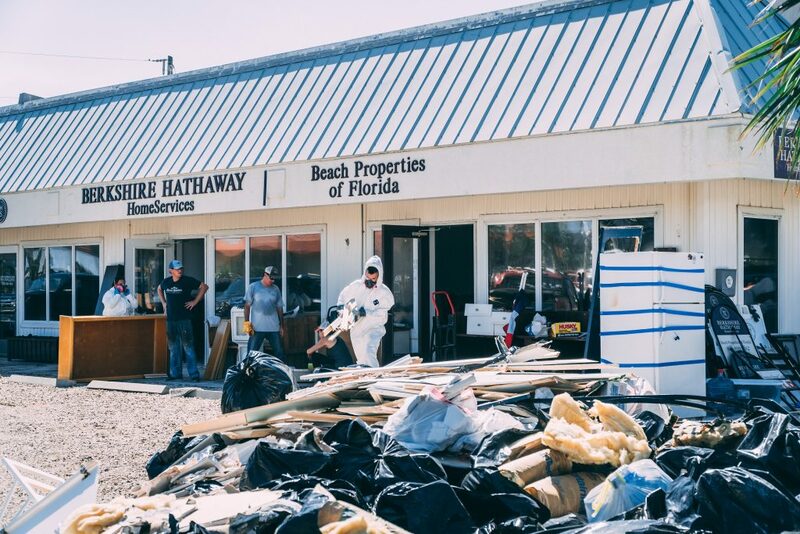 A disaster restoration team works alongside staff volunteers to clean the Berkshire Hathaway HomeServices Beach Properties of Florida St. George Island office. 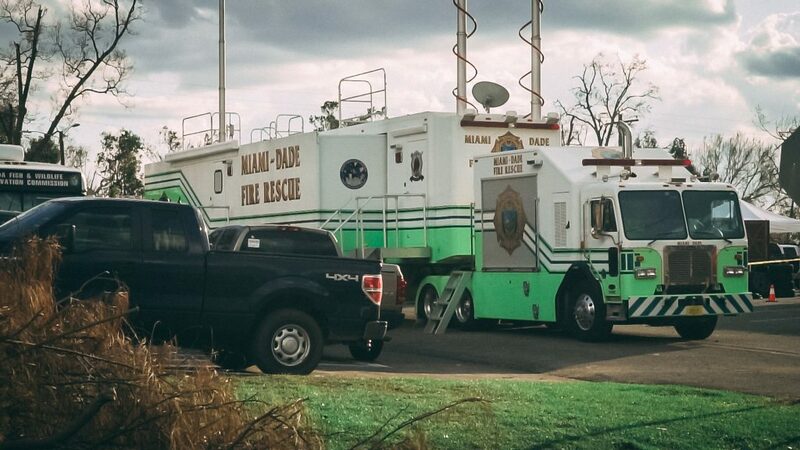 Rescue and relief squads from across the country are lending their support, such as the Miami-Dade Fire Rescue team stationed in Blountstown, FL. 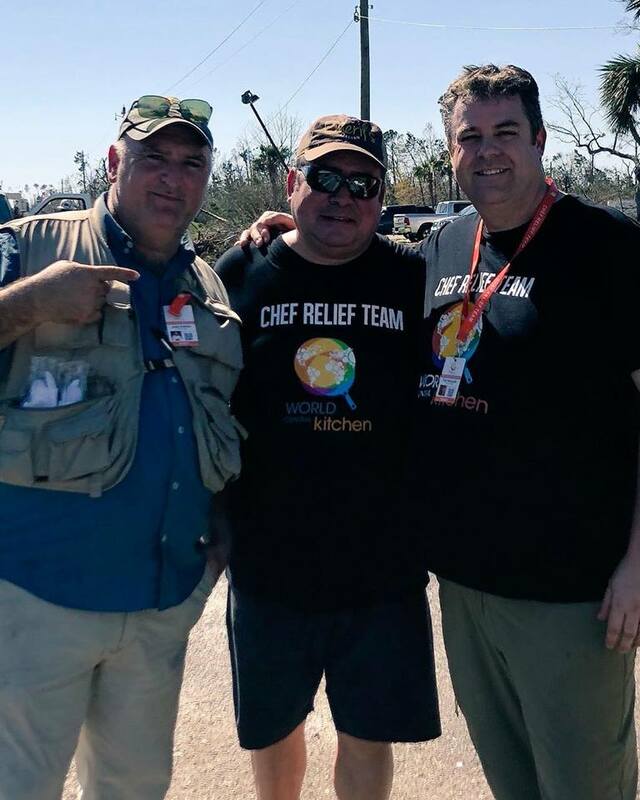 Chef Emeril Lagasse leading relief efforts including preparing and delivering hot food to affected residents through World Central Kitchen. 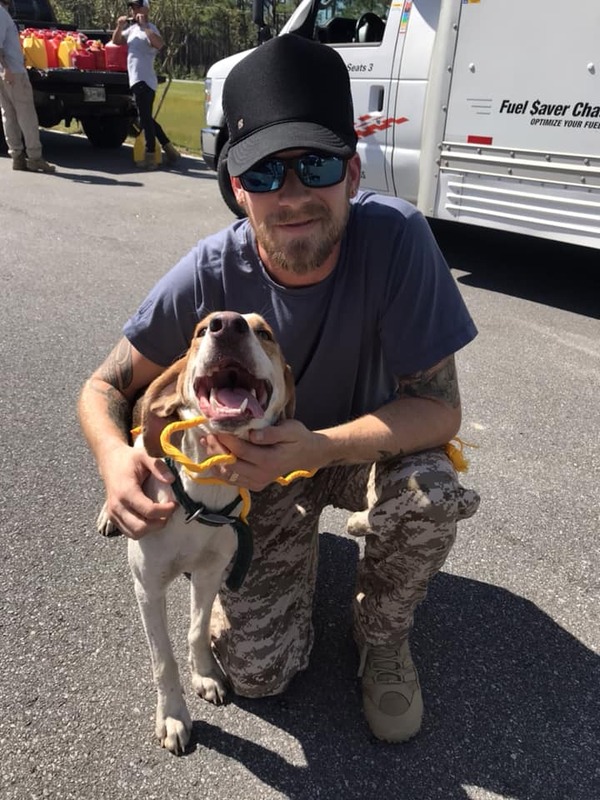 Brian Kelly of the Florida Georgia Line spotted rescuing pups lost in the storm in Franklin County by the Franklin County Sheriff’s Office. 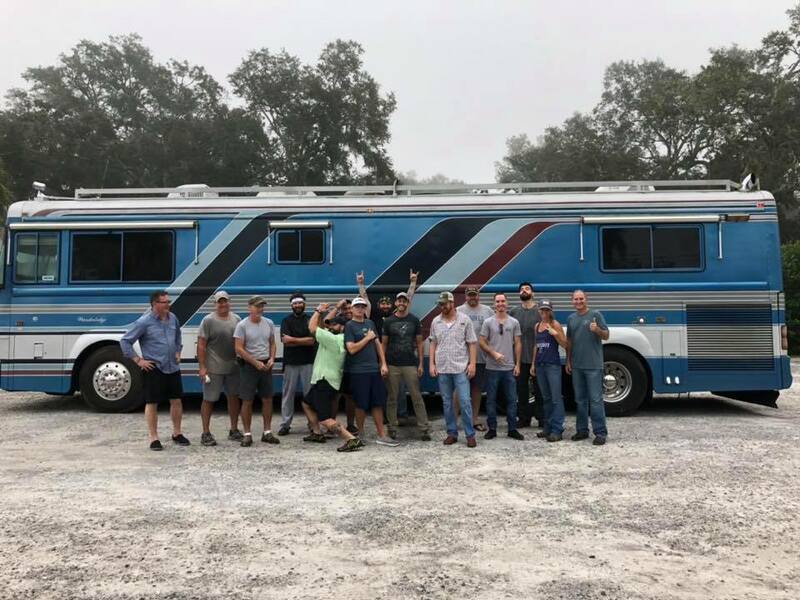 Chef Jim Shirley of Great Southern Cafe, The Bay and Baytowne Provisions taking a team to Port St. Joe to establish Operation Mobile Relief Kitchen. 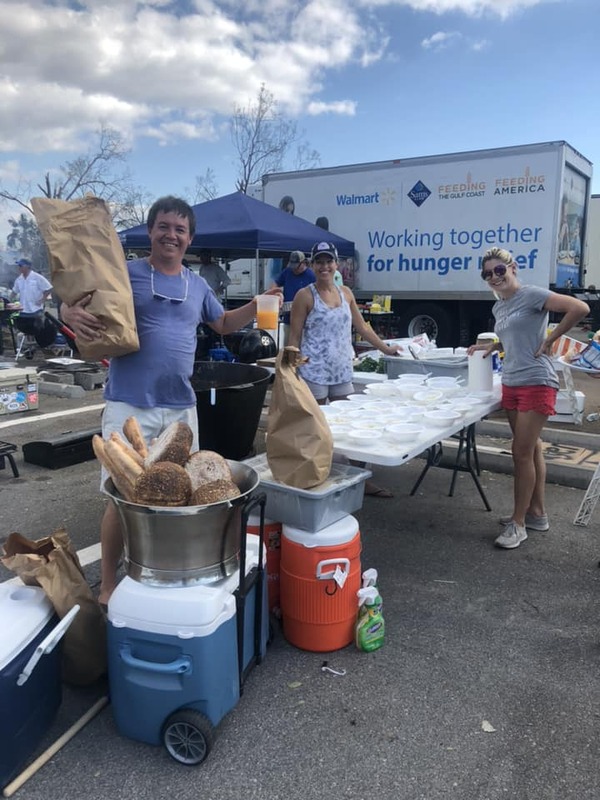 Volunteers organized by the Ohana Institute in Rosemary Beach serving food in Lynn Haven. An impromptu relief station created at the Indian Pass Raw Bar to benefit residents in Cape San Blas and Indian Pass. Chef Chris Holbrook of Signature Catering 30A serving fresh gumbo to residents and volunteers in Panama City. 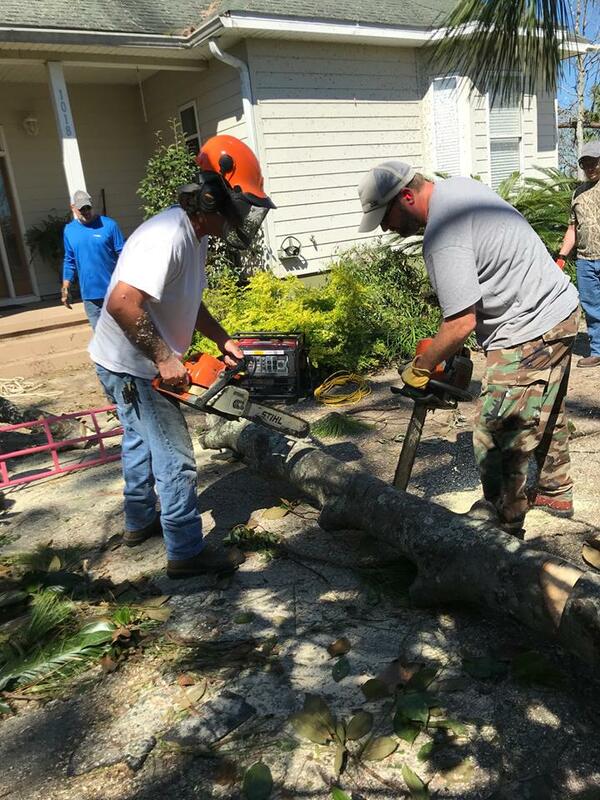 Kyle Ogle and Balder Saunders of Dread Clampitt clearing debris in Panama City.